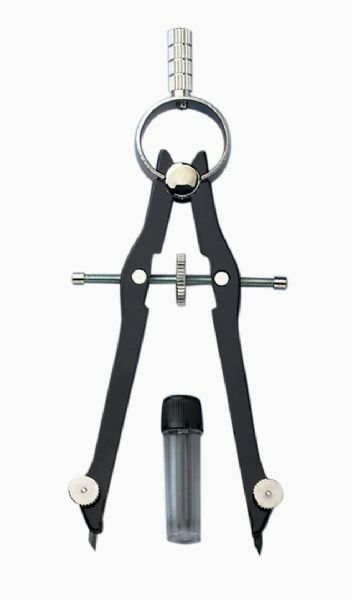 All metal 5 inch compass features extra pivot point for use as a divider. Creates circles up to 8 inch in diameter. Includes replacement needle and lead. Assorted colors.